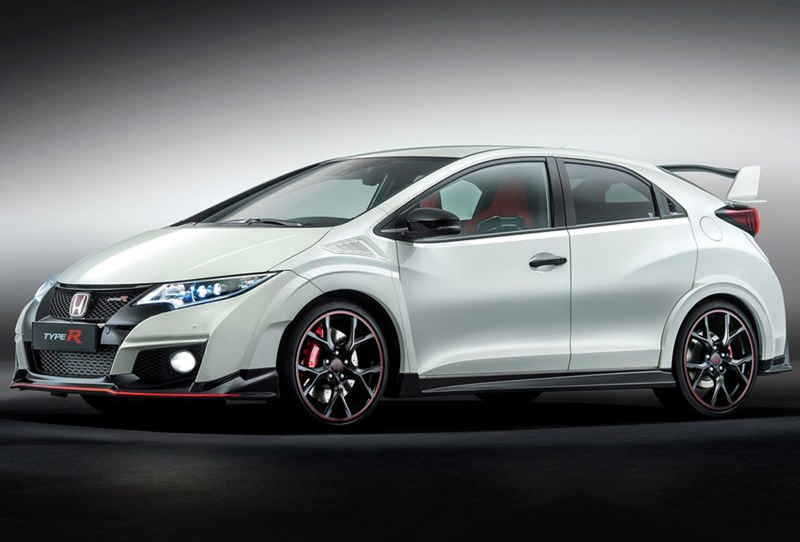 After a long wait of five years, Honda is ready to introduce the all-new Honda Civic Type R at the Geneva Motor Show. This brand new hatchback is a front-wheel drive. It runs on a VTEC TURBO 2.0-liter petrol engine. It is capable of delivering a peak power of 310 PS and peak torque of 400 Nm at 6,500 rpm and 2,500 rpm respectively. 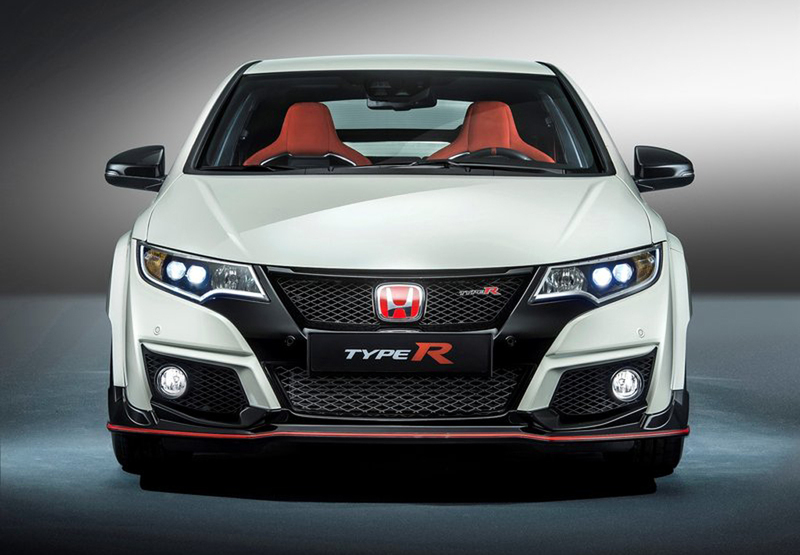 Such excellent performance has never been seen on any Honda Type R previously. The engine is a part of the company’s series – Earth Dreams Technology. The new and advanced turbocharger features VTEC technology which makes possible sustained acceleration and enhances low-end torque. A six-speed manual transmission channels the power from the engine to the front wheels. 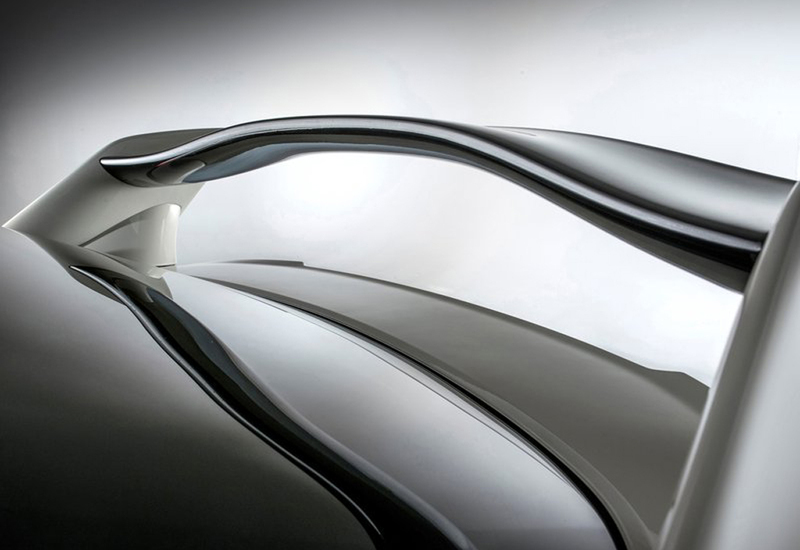 The car takes just 5.7 seconds to sprint from a standstill to 100 km/hr. The top speed, 270 km/hr, is class- leading. It runs on 19-inch alloy wheels, which are also new and lightweight as well. 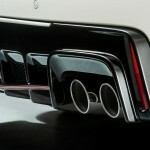 These too are another new feature present on an R model. The wheel arches have been enlarged and are filled with the new tyres 235/35R19. Honda has introduced several visual and functional modifications within the cabin. 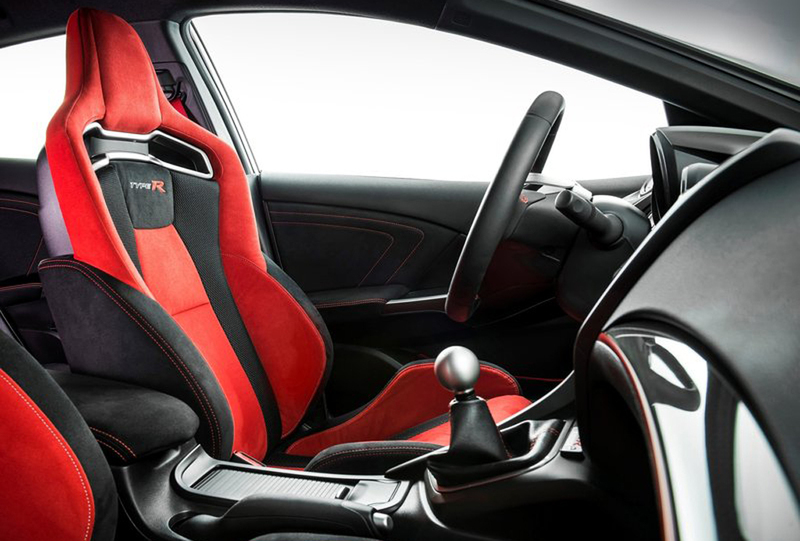 Machined aluminium alloy has been used for gear lever knob, just like the previously launched Type R models. The sport seats are high-backed and are covered in black suede-effect fabric. These are made more appealing with the use of red double stitching. The seats are more comfortable and supportive, thus providing enough lateral support to the passengers and drivers at the time of harder cornering. The steering wheel too is wrapped in black leather and features the same stitching as the seats. The car comes with additional features for the driver’s convenience – dusk sensing headlamps, front & rear parking sensors, door mirrors with electric fold capability and automatic rain sensing wipers. The infotainment system Honda Connect features Garmin satellite navigation. It offers free map updates for five years. Music lovers will have a thrilling experience with the 320 watt stereo system and the CD player along with eight premium speakers. Comfort is ensured by dual zone automatic climate control. The red ambient lighting adds to the elegance of the interior. The Advanced Driver Assist Systems by Honda is packed with the most efficient and useful technologies – Lane Departure Warning, Blind Spot Information, Forward Collision Warning, Traffic Sign Recognition, Cross Traffic Monitor and High-Beam Support. 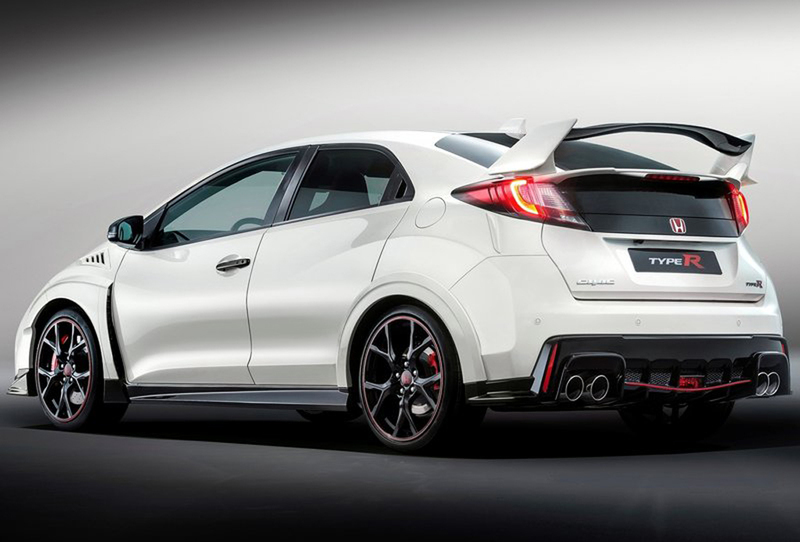 City-Brake Active comes as standard with Civic Type R.
Another new feature present on this new model is +R button. 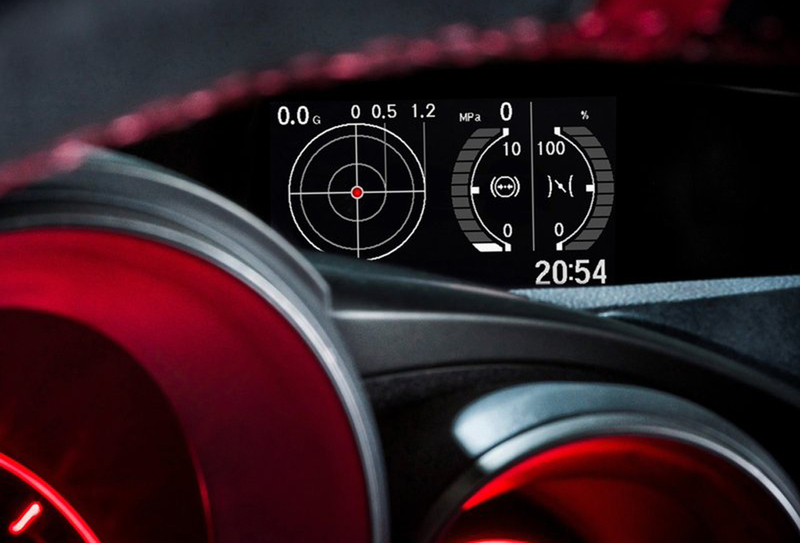 This button serves to enhance the response of the drivetrain and the chassis systems. This leads to a more dynamic driving experience that guarantees utmost fun on the track for lovers of sports cars. Upon the activation of this mode, the responsiveness of the engine peaks. 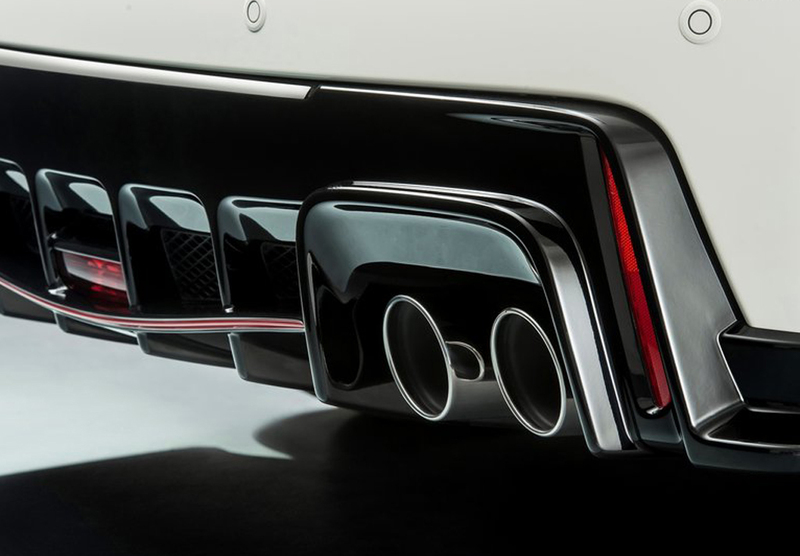 The torque-mapping turns into a more powerful performance. The steering wheel starts getting less power assistance. 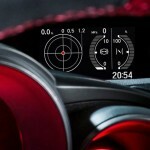 It therefore becomes more sensitive to the driver inputs. The four-point and new Adaptive Damper System delivers basic damping force that is greater by 30%. 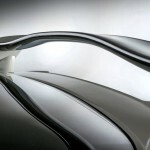 This results in the car being more agile and also firm. 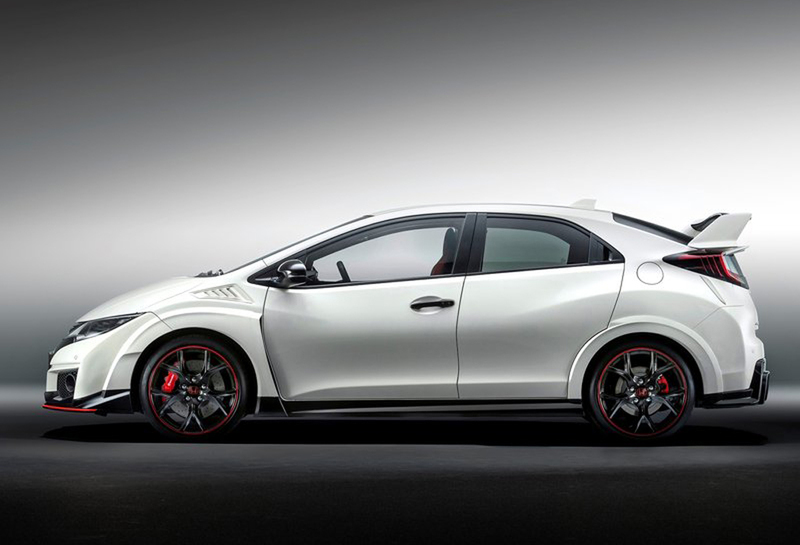 The Adaptive Damper System has been created especially for Type R. With this feature, each wheel can be controlled independently. This enables a flat and more stable ride and also brings down the wheel-load transfer at the time of sharp acceleration as well as deceleration. Such a system provides a lot more comfortable cruising and driving. The Dual Axis Strut Front Suspension is an advanced system that brings down the torque steer. It is 50% less when compared to that of the suspension set up in Civic. Consequently, the new Civic has greater stability at high speeds.